Jump to video Prosecutor a target? 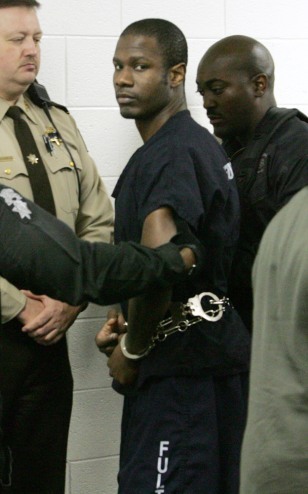 Brian Nichols is escorted to a hearing before a judge in Atlanta on Tuesday. The hearing was at a court facility in the Fulton County Jail.